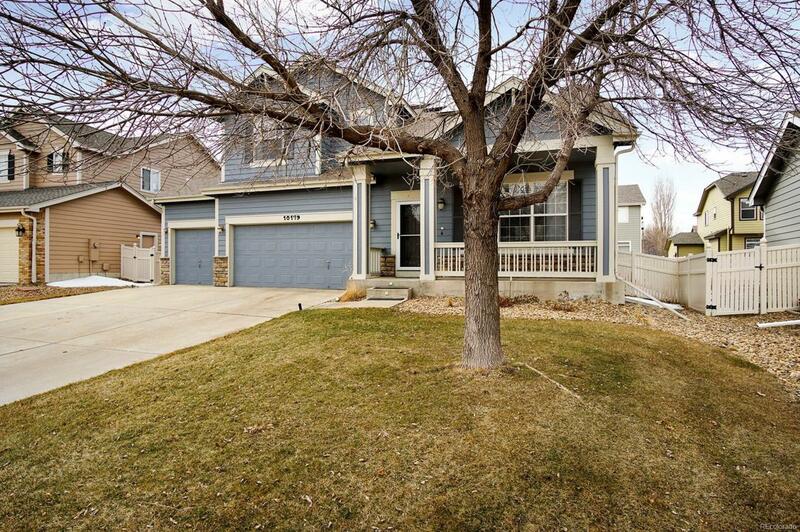 Welcome home to St Vrain Ranch of Firestone and this 2-Story beauty has it all! 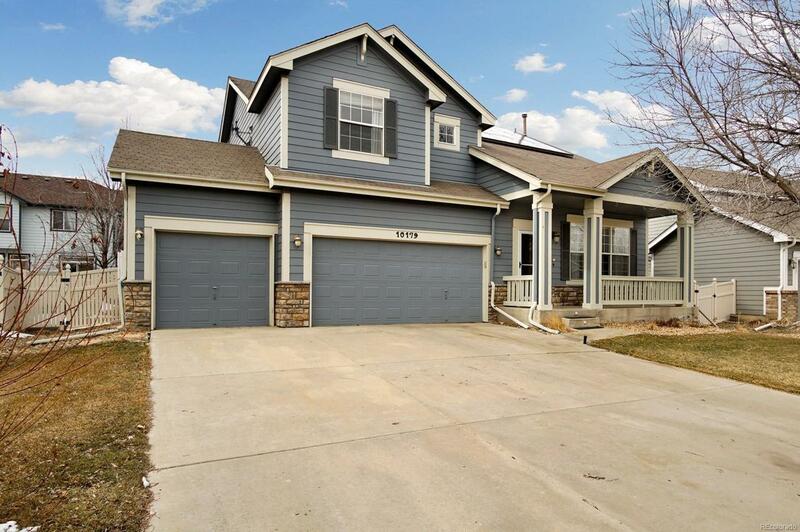 4 car garage, new furnace at 95% energy efficiency, new A/C, and solar panels with roll over power to help you save. A luminous living room greets your guests featuring soaring vaulted ceilings and gleaming hardwoods that carry you through the main level of the home. The spacious kitchen is truly a chef's dream showcasing rich granite counter tops and popular tile finishes topped off with an open eat-in area and access to the back yard patio. Upstairs the master suite comes complete with private 5-piece bath along with three sizable additional beds, a secondary full bath, and convenient upper level laundry room. 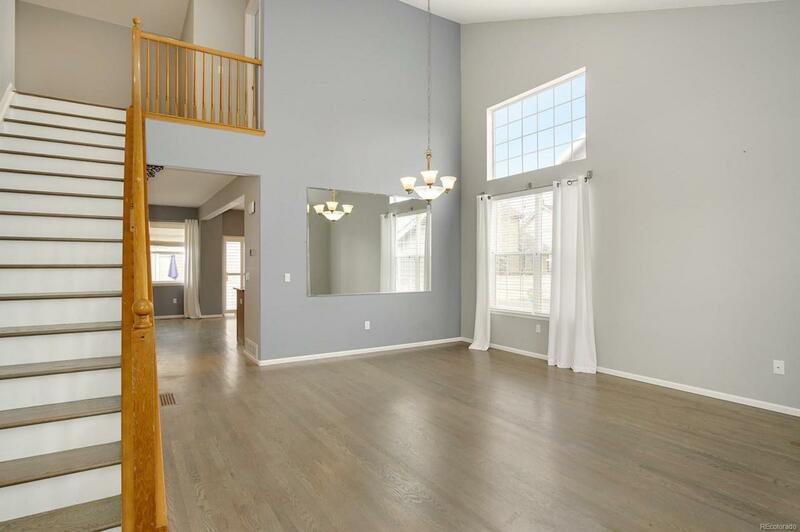 The full sized basement awaits your finishing touch. You will love the large stamped concrete patio making the perfect setting for a Colorado sunset or Summer BBQ. 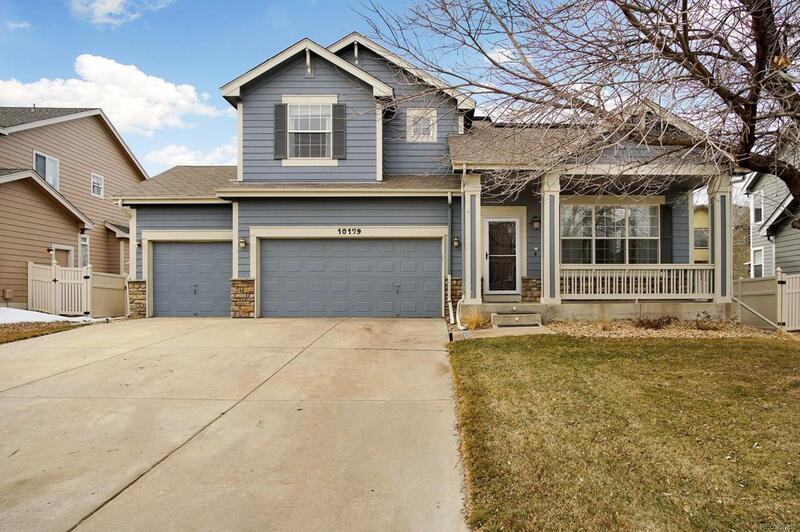 Nicely situated on a quiet street within walking distance to several community parks and Prairie Ridge Elementary.New roof coming.